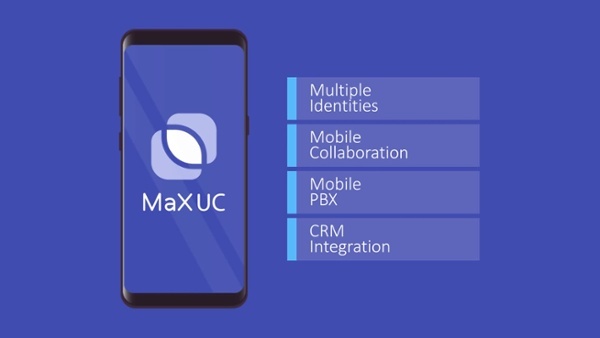 MaX UC is an in-network, mobile-native UC&C solution designed from the ground up to deliver a seamless mobile experience. It combines the native dialer experience of the smartphone with network-based voice services, UC and collaboration features. MaX UC is easily deployed in operator networks and enables operators to offer mobile native unified communications to the lucrative enterprise segment. User experience is central to service adoption. A perfect union of QoS-enabled, network-based multi-identity capabilities, the purity of the native dialer on any smartphone, simple onboarding and a comprehensive suite of PBX and UC features is the basis of the MaX mobile native UC experience. Download our white paper "Mobility: The Next Frontier for Unified Communications". Why use Metaswitch’s Mobile Native Unified Communications solution? The mass-adoption of mobile as the primary means of business communications has created challenges for both users and businesses. Many workers have to juggle business and personal personas on a single mobile device; meanwhile, difficulty in onboarding, a confusing dialing experience and inconsistent voice quality means most workers don’t use the UC apps provided by their employers. For businesses, a mobile workforce challenges them to maximize productivity, customer service and compliance with regulatory and IT security policies. Mobile service providers are in a unique position to capitalize on these trends with MaX UC, a new breed of UC platform, targeting the lucrative business market. The solution is easily deployed in operator networks and enables them to grow revenue and differentiate their offering vs over-the-top (OTT) messaging, voice and UC solutions by leveraging their network assets. By shifting the primary interface to the native dialer on any mobile device, MaX UC delivers a seamless user experience. Users can support multiple personas on a single mobile device, and access those personas across multiple devices, allowing them to seamlessly balance business and personal calls with embedded network intelligence. Voice quality is never compromised as services are delivered using the inherent reliability and quality of the mobile cellular network. Businesses need to make decisions and solve customers’ problems faster than ever before, but mass adoption of smartphones as the primary device has broken business collaboration. High friction to onboard today’s mobile apps, confusing dialing experience and inconsistent voice quality means most workers don’t use the tool. In the context of a $27B annual business spend on UCaaS by 2022, the impact on business outcomes is enormous.